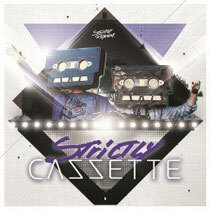 Strictly Rhythm has teamed up with the new Swedish DJ/producer duo CAZZETTE to release their debut compilation ‘Strictly CAZZETTE’, an 18 track DJ mix packed with their high energy brand of dub-house, a sub-genre that fuses 4/4 beats, house music’s highs and the stabbing basslines of dubstep. Released October 29 in mixed and unmixed formats, ‘Strictly CAZZETTE’ travels from underground club cuts to commercial flourishes. As well as featuring their remix of Avicii’s ‘Sweet Dreams’, it also includes their own versions of Avicii’s ‘Levels’, David Guetta’s ‘Titanium’, Dada Life’s ‘Rolling Stones T-Shirt’ and Spencer & Hill & Nadia Ali’s ‘Believe It’. Three brand new, exclusive mixes of house classics also appear including Sol Brothers vs Kathy Brown’s ‘Turn Me Out (Turn To Sugar)’, Ben Westbeech’s ‘Something For The Weekend’ and Erick Morillio & Eddie Thonelck feat Shawnee Taylor’s ‘Stronger’. With additional tracks from Tommy Trash, Tristan Garner and Swanky Tunes & Hard Rock Sofa. CAZZETTE aka Sebastian Furrer & Alexander Björklund, caught their first break in June 2011 when their mix of Avicii’s ‘Sweet Dreams’ began rocking dancefloors worldwide. Ash Pournouri from At Night Management (the man responsible for the meteoric rise of Avicii) spotted their skills and signed them up. Since then, their development of the distinctive dub-house sound has seen them vault their way onto the international dance music scene. In the wake of the ‘Sweet Dreams’ remix, the boys saw their bootleg of the Swedish House Mafia's ‘Save the World’ accepted as an official remix and their bootleg of Adele's ‘Set Fire to the Rain’ head straight to the number one spot on Hypemachine.com.